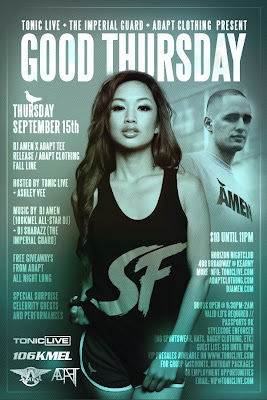 Saturday September 4th 12-2 I'll be at Recess 443 Broadway st in San Francisco to close out the night for my Home boy Celly Bday.. BE THERE Thursday September 15th we are celebrating the Release Party of my Brother (AMEN)'s new T-shirt collaboration with adapt Clothing, Horizon on Broadway.. so come through and listen to some amazing music, Special Guests and Performers will definitely be in the building. 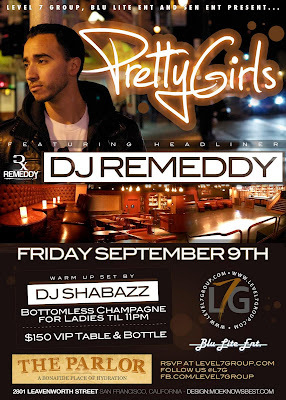 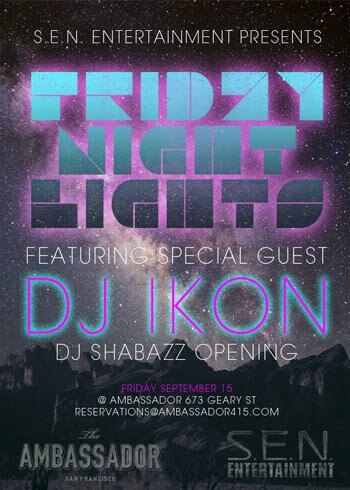 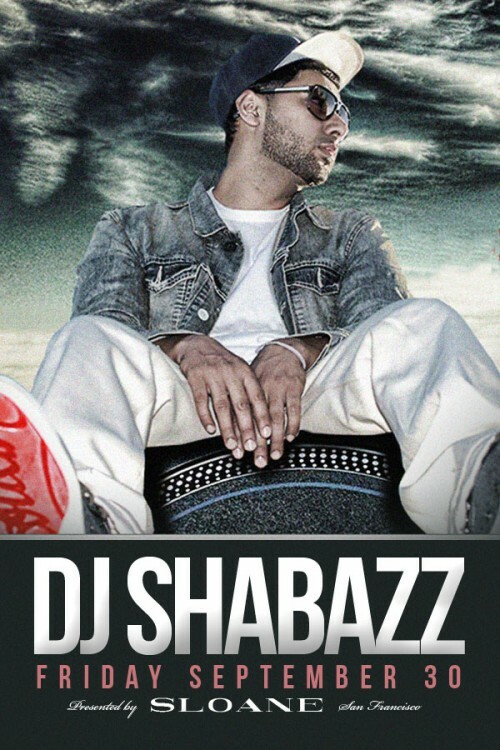 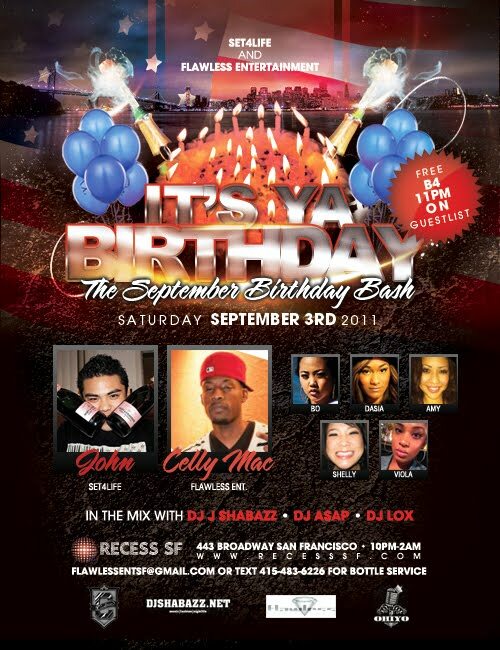 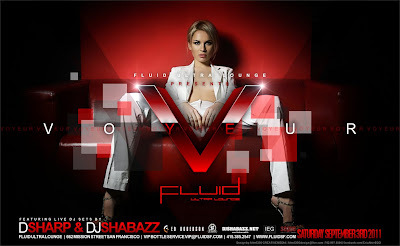 Friday September 15th Ambassador (673 Geary st) with the Homie Ikon from Vegas..
Saturday September 24th.. 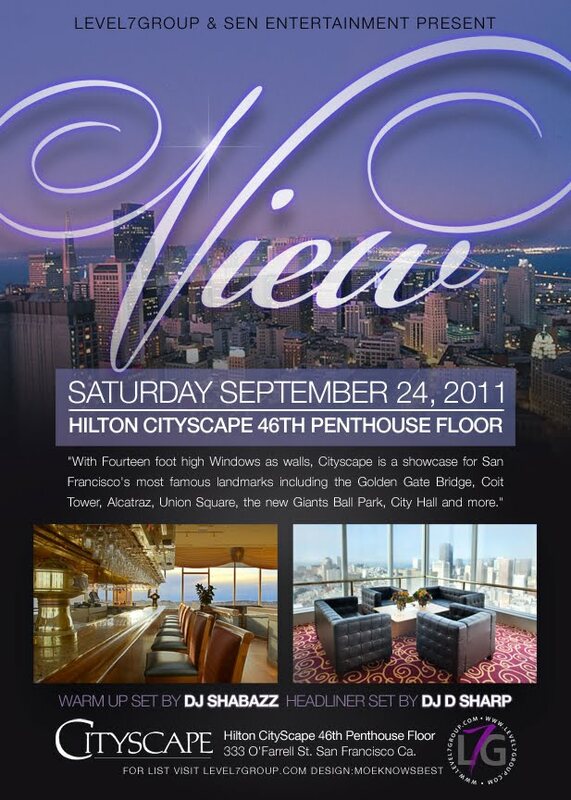 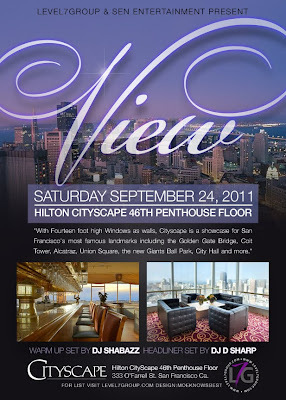 The flyest party to hit the Bay Area brought to you by S.E.N ent Level 7 and Djshabazz.net will take place at the Hilton in Union Square on the 46th floor Penthouse with panoramic views of the whole city myself and D-Sharpe will be the soundtracks, this will sell out and reach capacity.. Friday September 30th I'll be at Sloane all Night 1525 Mission ST. Come through and enjoy a good night.